The New World Auto Storage Concierge is the answer to your auto storage needs! New World Auto Transport has expanded our services to incorporate our auto storage facility to make sure you're provided with the best in auto storage whether you're headed cross country or simply need a place to store your ride for the winter. No matter the reason you require our services, you know New World Auto Storage will always deliver with a top notch facility and top of the line customer service! Adding an additional 2,500 square feet to our administration and sales offices has allowed us to hire new employees to our staff to assist you in storing your vehicle safely and knowledgeably. 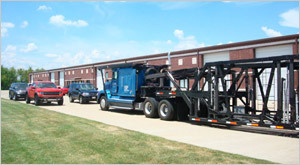 The 4,000 square feet we've added to our concierge division and shipping terminal is just the space we need to show your vehicle VIP storage service. 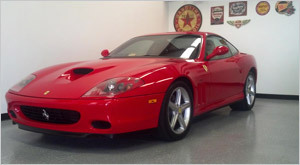 Now more than ever we can better serve our clients' storage needs when caring for their high end and exotic classic cars! New World Auto Transport has officially become your one stop shop for all your vehicle's transport and storage needs! You know what we say here at New World Auto Transport we're all about bikes, boats, and cars! That's why we've decided to expand our transporting business to offer our clients a cutting edge, state-of-the-art storage concierge to keep your vehicle stored for as long as you need! No matter what kind of vehicle you own whether it's an antique, classic or exotic car or a customized motorcycle, New World will store it for you safely and professionally each and every time. With the way we'll expertly treat your one of a kind ride, you'll soon learn why our storage vehicle facility is the best there is! 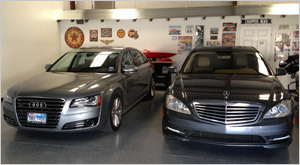 New World Auto Transport will Store Your Car! 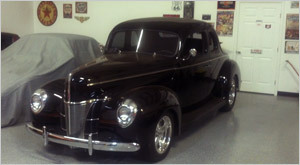 You know you can always trust New World Auto Transport to ship your vehicle and now you can trust us to store it, too! Call us today at 1-877-337-0879 to make sure your vehicle is stored with the white glove treatment! With New World Auto Transport, we will alleviate the common stresses related to automotive shipping.